The Beat Goes On features rock posters, artifacts and images that trace the influences of music, counterculture and rebellion in the North Bay Area – beyond the limits of San Francisco and the Haight Ashbury district. Enjoy this exhilarating exhibit until April 2, 2017 at the Museums of Sonoma County in Santa Rosa! The late 1960s was as volatile a time in music as it was in the rest of society. Music of the counterculture, psychedelic rock and hippie anthems, grabbed headlines across the country. Music became part of the national conversation about youth, free love, drugs, and rebellion. 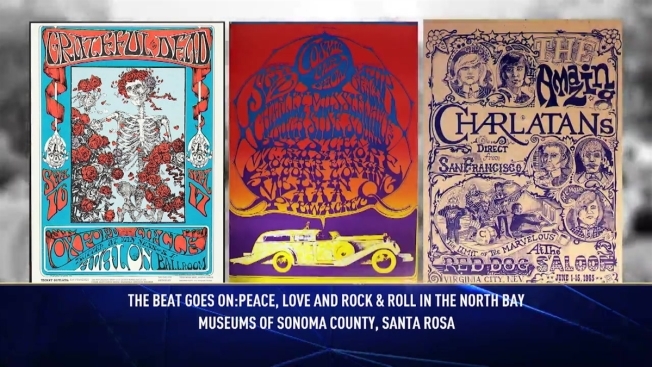 The Beat Goes On features rock posters, artifacts and images that trace the influences of music, counterculture and rebellion in the North Bay Area.